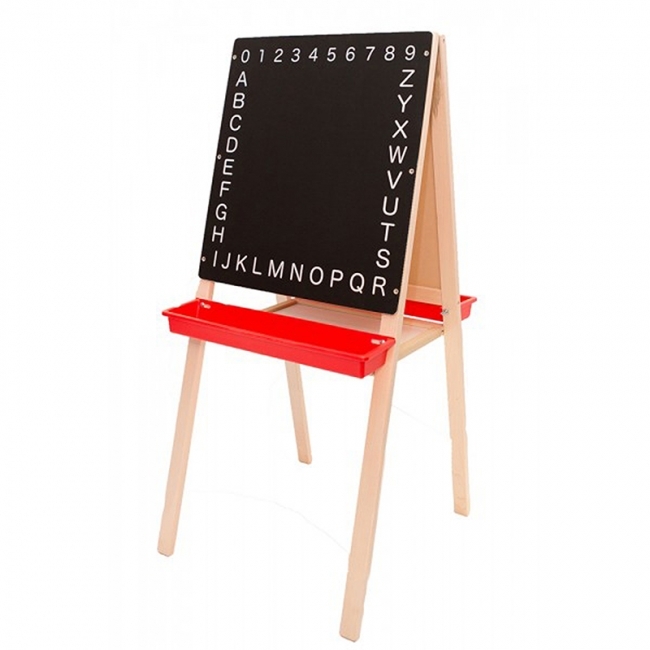 The Child's Magnetic Easel features a white magnetic dry erase surface on one side and a black alphabetic chalkboard on the reverse. Center tray provides extra storage along with two rugged plastic trays for all of your magnets, marker, chalk and erasers. Folds flat for storage. 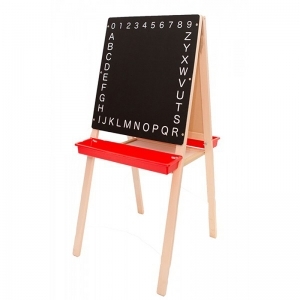 Measures 44" T x 19"W.
Ideal for small-group learning activities, this versatile double-sided easel brings interactivity to a child's fingertips. 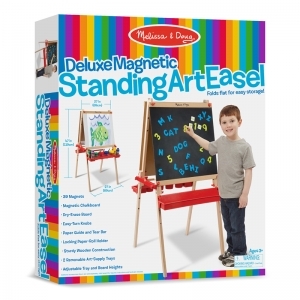 Features two magnetic dry erase surfaces, one dry erase pen with magnetic eraser cap and two colorful disk magnets. 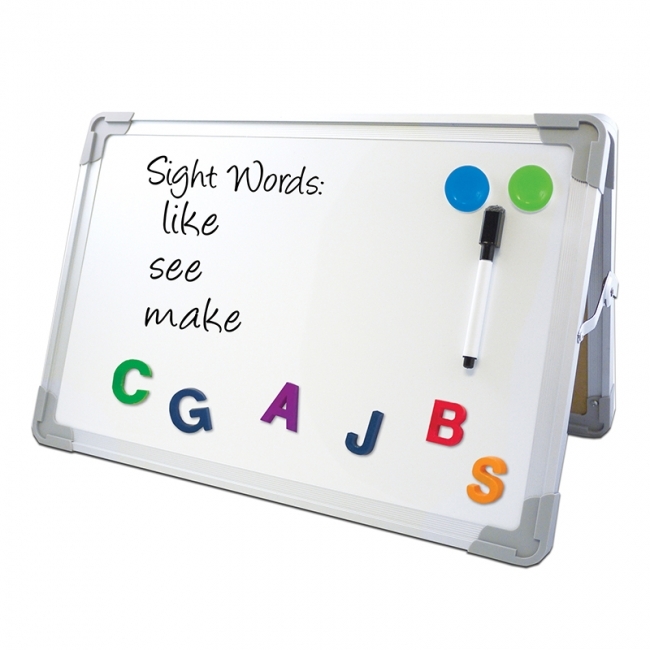 Lightweight aluminum frame with rounded plastic corners for style and safety folds flat for easy storage. Overall closed dimensions 18" wide x 12" high x 1.75" deep. Opens to 10.5" deep with locking hinges for stability and safety. Choking hazard - Small parts and magnets. Not intended for children under 3 yrs.